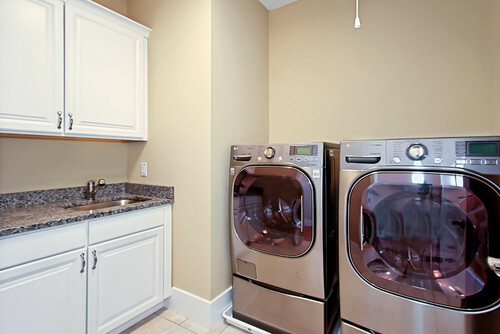 It may not seem like a big priority during a home renovation, but next to the kitchen, the laundry/utility room is the most used space in the house on a daily basis. According to the Bureau of Labor Statistics, American women spent 37 minutes a day on meal preparation and 17 for laundry. Sandwiched between food prep and clean clothes are housecleaning activities. If you’re wondering if you should include a dedicated and fully functional utility room in your remodeling plans, let those statistics guide you. Making your utility room inviting and functional will increase your enjoyment of everyday activities. A first floor, dedicated utility room provides a central place for doing laundry and storing cleaning products and appliances. When everything is organized in one place, far less time is spent looking for it. Making the utility room as inviting as the rest of the rooms in the house is a smart move, since it’s easier to spend time in this room when it’s attractive and well organized. Cabinetry. Having plenty of storage in the utility room prevents clutter from building on the countertops. Many homeowners select matching doors for the cabinets throughout the house but there’s no rule governing what you use, especially if the laundry or utility room is away from the core areas of your home. 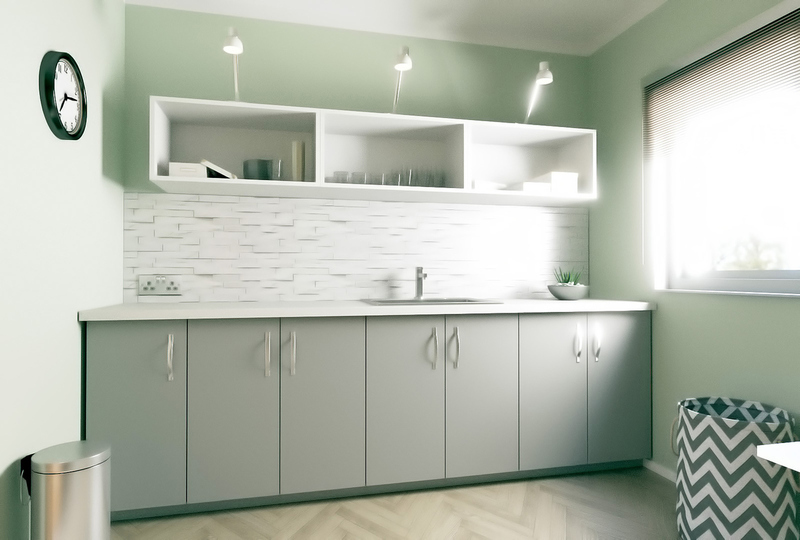 If people will have to walk by the utility room on the way to the kitchen or nearby, match the cabinet style to those you use throughout the house. Even if you have well-defined formal living spaces for entertainment, it’s surprising how often your guests will pass by spaces adjacent to the kitchen area. You might want a cabinet door style that’s easy to clean, with few crevices where dust and lint can collect. You might even leave some of the doors off if you need non-standard sizes for tall doors or extra wide cabinets. You could also use glass doors on some of the upper cabinets to highlight the contents. Paint designs, textures, or wallpaper. Each of these has its place in a home remodel, particularly in the utility or laundry room where you can have as much fun as you like. Maybe your family has a favorite cartoon that has wallpaper or fabric to match. Brighten the area up with matching window coverings or use an accent color. Paint is one of the most versatile ways to cover a wall, whether you’re airbrushing a mural or stenciling a design along the top of the wall. You can also use wainscoting to add punch to the room, a design enhancement if your home’s overall style is traditional or rustic. Flooring. Like the walls, you can use the floor to create colorful and lively designs that make your home renovation unique to you. Tile, painted concrete, or seamless sheet vinyl make good flooring choices for a hardworking utility rooms. Before you finalize your home renovation project, devote time and energy to the utility room. It’s an important room in your home where the daily work of home maintenance goes on. Done well, it can also be a fun place to enjoy the chores that keep everyday life going. Alair Homes is here to help you explore design ideas for every room in your custom home, including the utility room. Contact us to bring your vision to life.